We are back once again with yet another installment of wonderful technology deals. Each deal has been hand-picked to ensure that it offers excellent value for money but that it also gets you a wonderful product delivered to your door in the process. Check out the deals and don’t forget to treat yourself. Starting off, we are looking at the GoPro HERO6 Black camera coming in with a rare $100 discount, which means you can grab it for a mere $399. 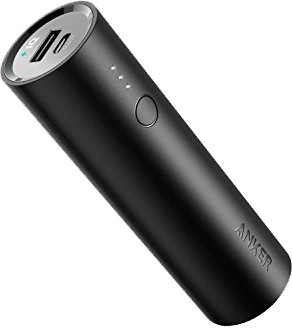 Next up we have is a 5,000mAh portable battery charger for just $13. 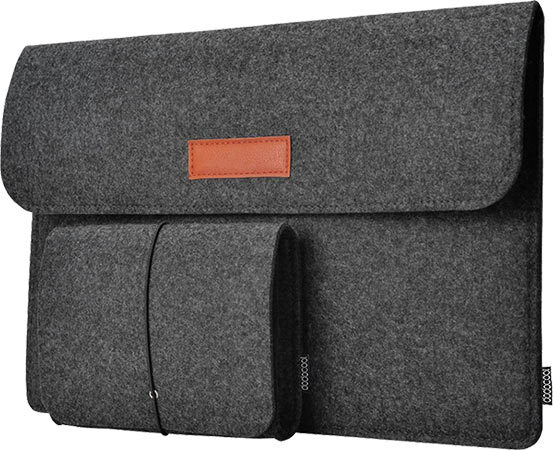 Looking for a 13-inch MacBook Pro pouch/sleeve? We have got you covered with one that costs just $8.39. 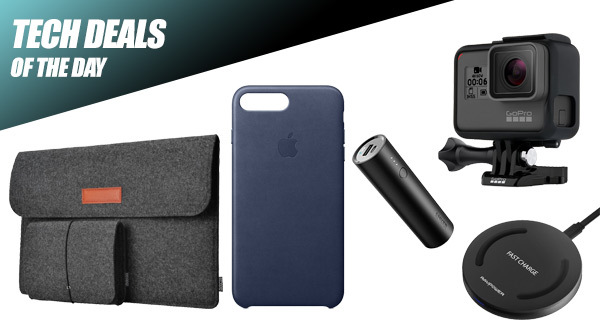 There’s also a deal on official Apple iPhone 8 Plus / 7 Plus Leather case. Last but not the least is a cost-effective wireless charging pad for the iPhone X and iPhone 8. As always, the deals listed here are only available for a limited period of time, or till stocks last, whichever happens first. So make sure you act quickly before the offers listed below are all gone and sold out. 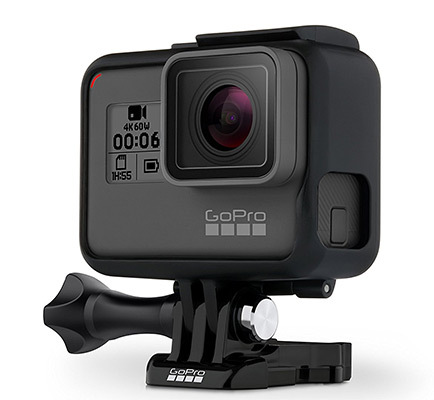 If you want to capture extreme footage, and want to make sure that you are giving yourself the best possible chance of the best possible results, then it’s really the GoPro that you need to trust with the task. The HERO6 offers 4K recording at 60-frames-per-second, instantly sends footage back to your phone, and has the most advanced stabilization yet on any GoPro model. If you classify yourself as a medium to smartphone or tablet user, or just like to live your life with a little bit of a security blanket in place, then you should definitely have one of these external battery packs in your arsenal. It comes with an internal 5000mAh battery which is more than enough to get a smartphone up and running at least once. It’s portable and extremely easy-to-use. Best of all, you can grab the battery charger for as little as $13 using the following promo code at checkout: Y18A1109. This is definitely one of those products that will go down as a “must-have” and it is also one that is very desirable if you want to protect your gorgeous MacBook and look stylish in the process. This gorgeous-looking sleeve is perfect for Apple’s MacBook Pro and Air notebooks up to 13.3-inches in size. Best of all, you can grab it for as little as $8.39 using the following promo code at checkout: WJNF6DRN. Apple produces excellent hardware. We all know that. 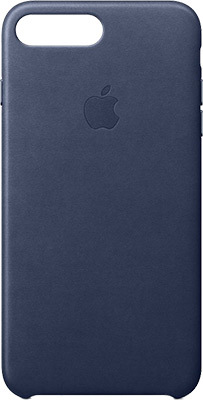 And that quality extends to the company’s accessories, which, in this case, is a gorgeous leather case finished in Midnight Blue. This is perfectly designed and engineered to fit Apple’s gorgeous iPhone 7 Plus and iPhone 8 Plus in order to not only give a luxury feel to the device but also protect it from those scrapes and knocks that happen every day. 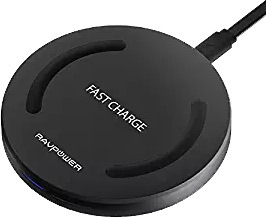 This wireless charging pad from RAVPower is Qi-compatible, which means it supports your iPhone X/8, as well as multiple Android smartphones as well. Best of all, you can use the following promo code at checkout to grab the charger for as little as $7.50: 9D4N5YKB. The promo code for RavPower does not work.